LAS VEGAS — The old guard of media, entertainment and consumer services came to CES 2016 to shoot down reports of its impending death. 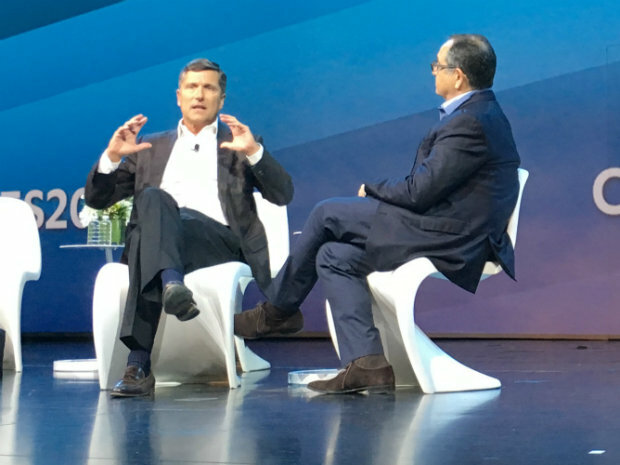 Top executives from NBC Universal, Fox Networks, Johnson & Johnson, AT&T and JPMorgan Chase concede that disruptive technologies and startups have upended their businesses to some extent, but they all also expect long and successful futures. Broadcasters have experienced tremendous market changes for more than a decade. After abjectly denying the shift for years, TV networks and studios came to accept the transition, and they now compete for viewers and revenue in many new ways. This strategic shift, which appears to be paying off for NBC Universal following its acquisition by Comcast in 2010, forced older companies to shed their protectionist tendencies. NBC Universal doubled its profitability since being acquired, and the NBC network, which was valued at "close to zero" in 2010, now makes nearly $800 million in annual revenue, according to NBC Universal CEO Steve Burke, who participated in a CES panel discussion. And at least 20 percent of all TV viewers watch NBC-owned channels today, he said. "You get in trouble when the world is changing if you try to preserve the status quo," Burke said. "The notion that digital is coming in and is going to supplant or destroy the television business, I don't buy." Burke said the leading four broadcast companies, ABC, CBS, Fox and NBC, make more money today than they did 20 years ago, though the revenue streams are different and more complex. "The biggest challenge for anybody running a business in media today is the increasing impact of the Internet," Burke said. "We need to get better at distributing our product on the Internet." NBC must also deal with a perception among some advertisers that digital ads are "somehow this wonderful new shiny thing that's better," according to Burke. He says TV is the most effective medium to reach millions of consumers, but advertisers clamor for the additional, targeted data they now expect in the digital age. Fox Networks CEO Peter Rice stressed that despite some very real challenges, technology is not an enemy for TV networks. However, these companies do need to adapt to market changes and provide more accountability for advertisers. "I don't think technology disrupts storytelling," he said. "The way in which we can bring addressability to advertising will really mean viewers have to watch less ads" and "distributors will not have to interrupt their programming so often." Technologies that originally scared the networks, such as digital video recorders (DVRs) came from consumer desire, he said. After his company got over the initial shock of DVR time-shifting and ad-skipping, it decided to embrace the change as a starting point for new opportunities, according to Rice. John Stankey, CEO of entertainment and Internet services at AT&T, which acquired satellite TV provider DirecTV last summer, agrees that networks need to adapt to instead of resist the industry's transition. "If three years from now we're still sitting in a position where we're referring to television as selling a bundle into a household or living room, we're missing that strategic intent," Stankey said. JPMorgan Chase still spends the greatest percentage of its ad budget on TV, but the mix shifted from about 60 percent at its ceiling to less than 50 percent today, according to Kristin Lemkau, the company's CMO. The bank also faces other digital challenges. For example, despite the 22 million customers who now use Chase's mobile app, which is 21 percent more people than used it last year, Lemkau admits Chase is too focused on desktop and print. Alison Lewis, global CMO at consumer packaged goods company Johnson & Johnson, said mobile quickly became an important component of the company's marketing strategy. Half of all online traffic to Johnson & Johnson brand website comes from mobile devices, she said, and mobile also dominates search. The sheer scale of content required for Johnson & Johnson to market brands like Neutrogena, Band-Aid, Listerine or Tylenol on mobile and digital outlets is growing exponentially, Lewis said. "We need a whole content ecosystem and it's a massive, massive shift for our business."